It's that time of year again. 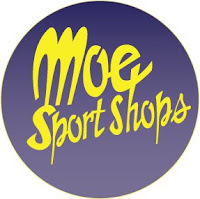 We're very happy to be partnering up with our great sponsor Moe Sport Shops, to bring you our 2011 College Football Pick'em League, hosted by ESPN. This game challenges you to select the winner of 10 selected games for 14 weeks during the NCAA football season using a confidence scoring system. You receive the amount of confidence points you assigned to each game, but only if you correctly selected the winning team. Best of all, it's FREE to play. The good folks over at Moe Sport Shops have stepped up to offer prizes to the top three finishers! You can sign up at anytime, but you must do so before games start on September 3rd. We'll post a reminder the week before the season. If you have any questions, let me know in the comments below. Good luck!